A string of explosives and shootings have left at least one killed and at least three injured as the country marks the anniversary of former President Morsi’s ouster. A suspected terrorist was killed in Kerdasa when a home-made explosive he was carrying pre-maturely exploded. Meanwhile, at least one police officer was injured in Mansoura in a drive-by shooting. In Abassiya, a small car bomb exploded near a military hospital but left no injuries. Anti-explosives equipment was deployed and security forces shut down the area as they searched for other bombs. While this Thursday marks the anniversary of the ouster of former President Morsi, the Muslim Brotherhood has called for an ‘uprising’ against the Military and Egypt’s President Sisi. In preparation of any potential violence, Egypt’s security forces have shut down Tahrir Square and Nahda Square and have deployed additional security measures. Meanwhile, Tamarod, the group that had organized demonstrations against Morsi and the Muslim Brotherhood one year ago, has stated that it will not be celebrating the ouster of Morsi in order to ensure the safety of citizens. 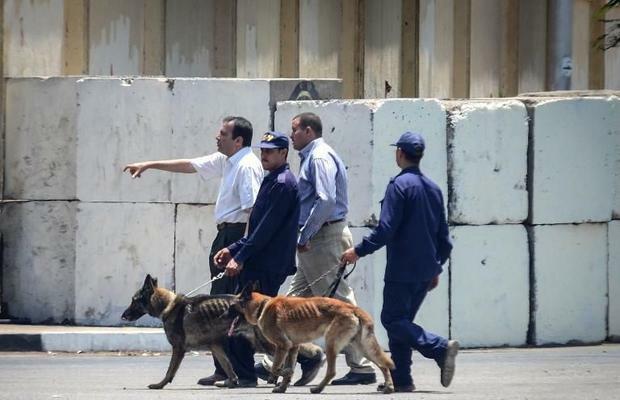 Earlier this week, two policemen were killed while attempting to defuse makeshift explosives near Egypt’s Presidential Palace in Heliopolis. Egypt has been the target of multiple attacks since the Morsi was deposed on July 3, 2013.